We wanted to combine our summer holiday in Playa Del Carmen, Mexico, with our Escape Room obsession. 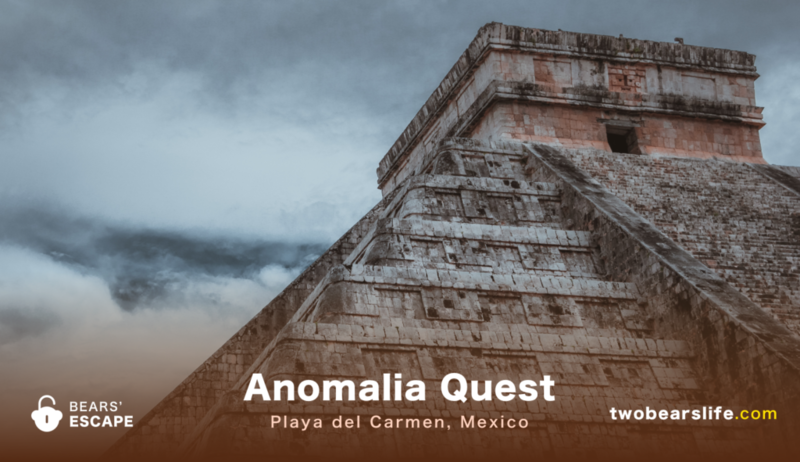 To our delighted surprise, Anomalia Quest is not only located in the heart of Playa Del Carmen. It was also one of the coolest Rooms we have played yet. Let’s start the Review. Update August 2017: Anomalia Quest was bought by Escape Rooms Mexico, who seem to run the Masks of Mayan Gods game at the same location. The game is now called “Mayan World” – the second Game “Space Hunters” never opened. We have not visited Escape Rooms Mexico in Playa del Carmen since the rebranding, but we would love to hear some feedback by new players in the comment section. When we were looking for Escape Rooms close to our beach resort in Playa Del Carmen, we did not expect to find much. 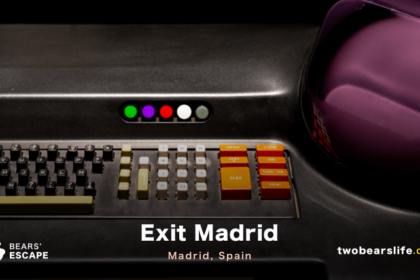 Mexico City is one of the biggest cities in the World, but the Escape Room trend has just started there. During our online research, we found only two companies nearby. An Escape Hunt in Cancun and Anomalia Quest in Playa Del Carmen. After some research, we found out that the Escape Hunt had already closed down, so our choices went down to one. 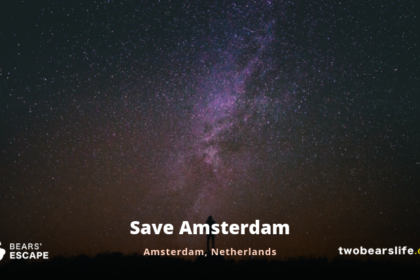 The website of Anomalia Quest gave us a lot of information and offered a big time window for a reservation. The first option is 11:00 am in the morning, the last one 5:00 the following morning. Quite impressive, if you ask me. Naturally, we took the next possible time and booked it. After parking our rental car in the nearby shopping mall, we combined our trip to Anomalia Quest with a shopping tour in the mall as well as the well-known 5th Avenue of Playa Del Carmen. On arrival, we were welcomed by one of the owners, who also served as our game master. He was very nice and also shared some interesting insights into the Escape Room business. After a short introduction and a complimentary drink, we started with the room. The Masks of Mayan God – a very well-chosen theme for the location. You are a team of treasure seekers and only you are able to complete a lifework of the famous archeologist Michael Widges. Find the Masks of the Mayan Gods, reveal the secrets of pyramids, and discover the mysteries of the future. The story of room is actually really cool – you follow the trail of the archeologist Michael Widges. Your goal is to find out what happened to him and collect the mysterious Masks of Mayan Gods – a task where he failed and subsequently disappeared. Once the game starts, you find yourself in his office. Don’t worry though, the game quickly makes good on its promise and takes you further into the realm of Mayan culture and myths. The website states that the game is designed for teams of two to four people, which is a very generous but also accurate statement. The game is not small by any means but the individual sections could end up feeling crowded with more people. We find it good and honorable that they are not selling this room for up to 6 people like most other places would. Each room is designed with a lot of love to detail and has very different and distinctive features, designs and puzzles. Anomalia Quest makes very clever use of the space they have and the second room was our absolute favourite and really well designed. The immersion works amazing and the story is nice and fitting to the location. This was not the first Escape Room we did in Mexico (although it is the first Mexican Review that gets published) and the rooms in Mexico City lowered our expectations quite a bit. So it was a very pleasant surprise to find an Escape Room of this high level in Playa Del Carmen. Anomalia Quest can check off a lot of criteria that good Escape Rooms should have. The theme is creative and fitting to the location, the story is quite interesting and works well. The production level is truly amazing and can stand on its own compared to the very top of our Escape Room Guide. We did struggle a little bit in the last third of the game, since the game flow did not work as well as in the beginning. If we would not have rushed through the first stage of the game, we could have avoided this though. So this ons is on us. The game master and owner was really nice and enthusiastic about his business. Truly the only negative point we can bring up is that his second room was not yet finished. We would have loved to play that one too. Hopefully it will be open the next time when we will be able to visit Playa Del Carmen. 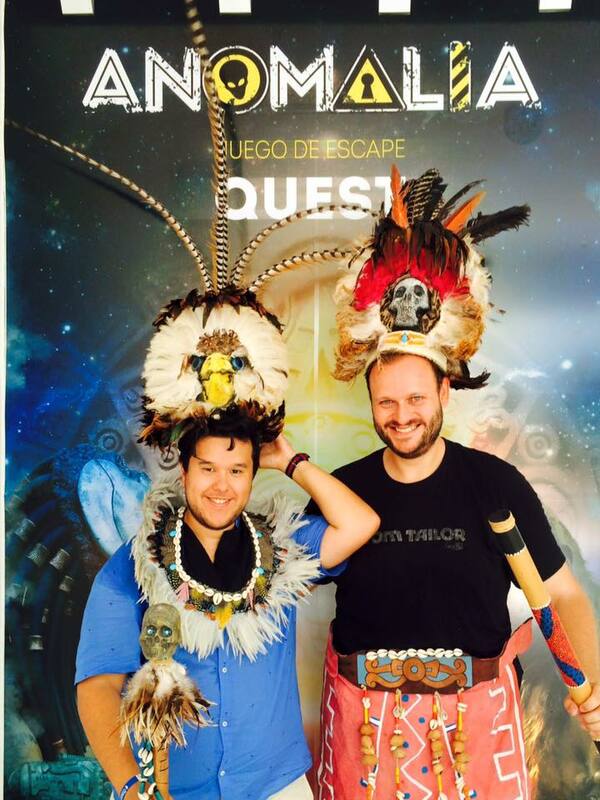 If you are in or around Playa Del Carmen, please check out Anomalia Quest – you will have a great time. 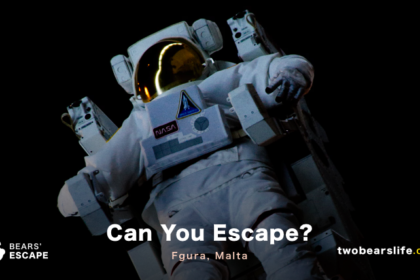 A surprisingly great Escape Room in the heart of Playa Del Carmen. Amazing production design combined with a smart and interesting story. The location is close to a mall and next to 5th Avenue. The owner and game master was very nice and obviously loves escape rooms himself. We can absolutely recommend Anomalie Quest – this is what a great Escape Room should look like.